Fishing Time Again | Wow find what you want here. Do You Need A Fishing Licensed For Ever State You Pass? Eating well and passing time at sea conveniently come together when fishing while sailing, and there’s nothing like the thrill of landing a great catch. The easiest and least expensive way to get started fishing is by using a meat line or hand line. All along the Pacific Coast, from California to Panama a meat line has provided me and my mates a variety of fish and excitement over the years. It’s inexpensive to put together and stuffs innocuously into your gear bag. To make your own meat line, start with about two boat lengths of line: a sturdy seine twine or parachute cord will do. You’ll also need 2 feet of bungee cord, plus a good size snap swivel clip and a variety of lures. Mark the line at 3 feet and 6 feet from the boat end and attach the ends of the bungee at the two marked points making a nice loop of fishing line. The bungee stretches out and absorbs the shock when a fish hits; plus, you can see when there’s a fish on. For a meat line, you don’t want to use nylon monofilament. It might look snazzy and sophisticated to your friends, but will tear up your hands when you bring the fish in. Braided cord is good enough, and easily handled without gloves. Generally speaking, use darker lures on darker days and brighter lures on brighter days. “Match the hatch” translates to saltwater fishing too: Use a lure that resembles local and seasonal bait. On our very successful trip we used 6-inch colorful plastic squids and feather lures. Then again, a traditional cedar plug-a cigar shaped stump of wood with a dull cap and hook -has proven wildly successful too. Swap out your lure throughout the day as light conditions change, and be sure to check it regularly to make sure some wily wahoo hasn’t taken off with it, or you’ve snagged some kelp or debris. If one is good, two are better, right? Not only do many species travel in schools; if you stagger a pair of fishing lines, you create the illusion that one baitfish is pursuing another and no doubt Charlie the Tuna will want to join the chase. Tie the lines low on the transom on port and starboard, either off the pushpit or on a cleat. If the water is rough, you might need to adjust the length so the lure doesn’t skip off the waves. Sailing home from Hawaii, my favorite watch was during the wee hours of the morning. As soon as the sky hinted pink, I’d toss the lines in. It was anyone’s guess when a fish-or two-would strike. When you’re sailing, you can’t easily dictate boatspeed, but ideal trolling speed seems to be in the 6- to 9-knot range. As soon as we had a fish on we’d slow the boat down by throttling back if motorsailing or ease the main or even heave-to. There’s no rush. Let the fish tire out, keeping light tension on the line. Then we’d bring it in hand-over-hand, and haul it right up on the aft deck (bigger fish required a gaff), lash a noose around its tail, and give it a good bonk on the head being careful to avoid dinging the deck. Have needle nose pliers handy to twist the lure out of its mouth. A tidier method of dispatching your catch (but apparently not macho enough for my crewmates) is to cover the fish’s head with a dark towel. This calms it immediately, then you can sneak a shot of tequila or rum directly into its gills. Trust me, this works like a charm. Plus it’s less messy. Some anglers suggest wetting the deck before you land the fish so blood doesn’t absorb and stain. You will want to bleed and clean your catch immediately, then scrub the deck, so take that into consideration when fishing into the evening. It is never too early to fish, but sometimes it’s too late. Using a rod and reel styles up your game, at a price. Keep the clicker on and drag loose and you’ll know immediately when a fish hits, which lessens your chances of losing it (or dragging it so long, there’s nothing but a jawbone left). You’ll need to mount a rod holder onboard and these are usually high on the rail so feed more line out until the lure trails properly. And if the breeze dies down altogether and you’re in shallower or fresh water, use that rod and reel to bottom fish – particularly if you can see on your chart a reef or favorable topographic feature. Rig your line with a heavy jigging lure, or use a sharp hook with some bait and a sinker, and drop the line to the bottom. Subtly raise and lower it until you feel that nibble. This takes patience, but is a great diversion while you’re waiting for the wind to come up. You don’t want to get tangled up with the authorities, so be mindful of fish and game guidelines in the area. In coastal and inland waters keep a regulations book on hand and appropriate licenses as required. Fishing in the Sea of Cortez last spring, I was glad I had purchased a month-long license when Mexican authorities zoomed over in a panga to check us out. Cool your catch right away, while you pull out the soy sauce, wasabi and grated ginger root. Nothing compares to the buttery texture and fresh taste of just-caught sashimi. For ceviche you’ll need fresh squeezed lime juice, sliced onion, diced jalapeno and Thai basil: toss together no more than 20 minutes. Marinate and grill tuna steaks on the barbie; pan fry dorado fillets in a makeshift coating of crumbled Saltines and sesame seeds (with a side of wasabi mayo); or simply gut and stuff your catch with julienned veggies, wrap in foil and bake. The mouthwatering possibilities are endless. But please, don’t be wasteful. Fishing is fun, but we don’t fish just for fun. If you’ve got a full cooler and full belly, bring the meat lines in, trim those sails and give the fish a break. 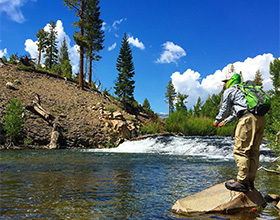 Opening day of the California trout fishing season is known by some as Fishmas — the most exciting day of the year for trout anglers. This is the day lakes and rivers, closed to fishing for the past several months, come alive with eager trout and ambitious anglers. Make sure you have your fishing license in hand before hitting the water. The general trout opener will commence on Saturday, April 29, one hour before sunrise. Given California’s significant snowpack and associated run off, many rivers will be experiencing swift and cold water conditions which can be dangerous. CDFW reminds anglers to be cautious when fishing streams or rivers for the opener. Given the potential high water conditions, focusing on lakes and reservoirs may be the best bet for anglers. Most lakes, rivers and streams have a limit of five trout per day and 10 in possession. However, regulations differ on season dates, bag limits, minimum and maximum size limits, and gear restrictions. 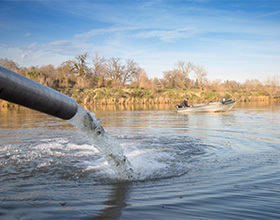 CDFW raises and plants millions of trout each year for the enjoyment of anglers. To view trout planting schedules, visit the fish planting website. The fish planting schedule is updated in real time, directly by CDFW hatchery staff. The recreational rockfish, cabezon and greenling season opened for boat-based anglers on March 1 in the Southern Management Area. The season opened on April 1 in the Central Management Area and opens April 15 in the San Francisco Management Area. 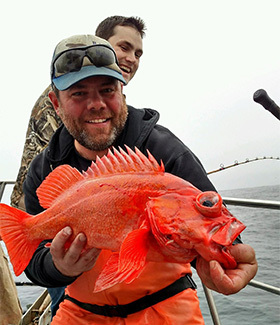 Anglers should check the regulations for their area before fishing, as there are important changes effective in 2017 — including the ability to retain a canary rockfish in the bag limit! Regulations for California’s popular red abalone sport fishery have changed in 2017. Due to concerns about the declining population, the season will be shortened and the take limit reduced. The 2017 season will be shortened by two months, with the traditional opening date of April 1 now delayed until May 1. The fishery will also close a month earlier than usual, on Oct. 31. 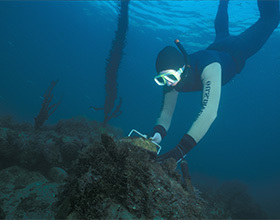 The annual limit is changing from 18 abalone to 12. 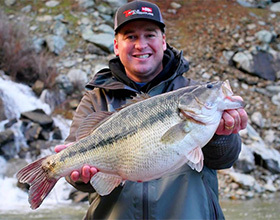 In light of the numerous record spotted bass being caught at New Bullards Bar Reservoir in Yuba County, CDFW has placed a certified scale at the Emerald Cove Marina as a courtesy to anglers pursuing state or world record fish. Scale use instructions are included but anglers are responsible for educating themselves on the complete record application processes and rules. 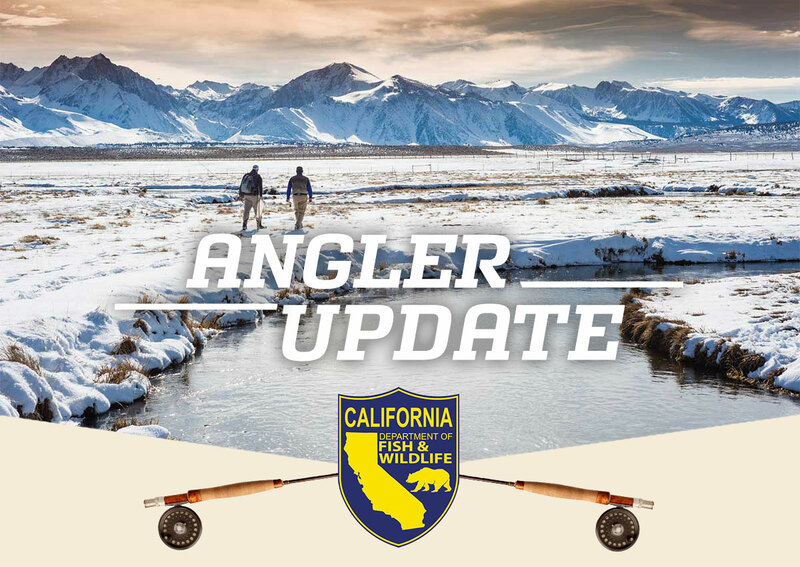 Keep up with the latest in CDFW fishing, hunting and conservation news. By purchasing a fishing license in California, you are providing a dedicated source of funding for management and protection of the state’s fisheries and for fish hatchery operation. Purchasing a sport fishing license also helps support California’s longstanding fishing heritage for today and future generations. Thank you for fishing in California! This communication is considered CDFW News.